SAGITTARIUS is a fire sign, always on the go. Shy, but simultaneously curious, traveler, philosophical, loves cultures, food, cooking, indulges in extremes, attentive to beauty or health, entertainment: acting, designing, writing, publishing, filmmaking, comedy. Either cynical, judgmental and miserly or spiritual, forgiving, and generous. MUNDANE Sag, always judging the other guy because of your low self-esteem. Due to this vibe, you tend to attract masculine authority figures to teach them how to stand up for themselves without defense. When you lose touch of your deeper feelings, you place importance on having stuff. If having stuff isn’t focus, you might hold that repressed energy in your body and develop a health (or security) issue. You might begin your early years with a health issue or be so inspired by beauty or medicine, that you enter the health, healing or spiritual field while searching for your truth. That’s a big thing for you… truth. It’s possible that you sit in judgment over yourself for who you aren’t, not having found your truth yet. Deep down, you vacillate on the source of your existence. If you have minimal (or zero) faith or belief in equality, abundance, or spirituality (the basic essence of you and your connectedness to all living things), you might attract bi-polar (either very needy or very controlling) partners. In the ‘workaholic relay race’ you seem to be neck and neck with Capricorn! You’re extremely sensitive and don’t always allow yourself to negotiate harsher feelings like anger, loneliness, resentment. You have definite opinions, sometimes rigid ones, but a bright, curious, philosophical nature. Just be careful of not overdoing it with numbing chemicals. You love to learn or teach about diverse cultures, health, beauty, art. In fact, you like to write, design, or otherwise share your unique perspective of life. Learn to trust your wisdom and your wealth of information helps others to heal. Folks get that you’re in awe of creation, of the Cosmos, and of life’s possibilities. You don’t like to be around too many downers or negative people, so you might retreat for a while. Once you learn to set healthy boundaries to authority figures, and see yourself as an equal, you’ll attract all types of amazing opportunities. 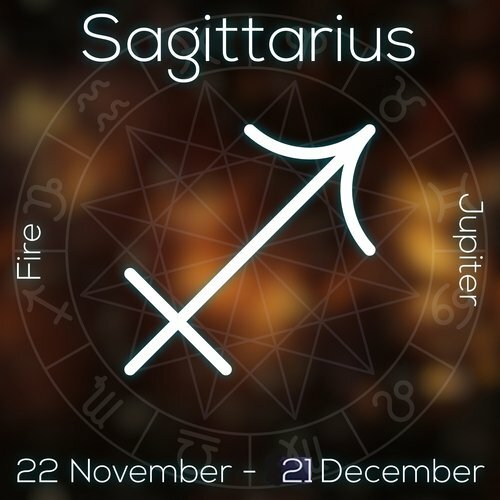 When Sagittarius is on the rise, the planet Jupiter guides the theme of a person’s astrological chart. Jupiter represents abundance, expansion, benevolence, publishing, travel, spirituality, religion, cultures, overindulgence. As a child, you were very sensitive to noise and therefore, masculine figures. (Who’s voices were deeper, sometimes harsh and abrupt). Early home life for you indicates either a deep and spiritual relationship to the mother OR a dysfunctional relationship due to the mom’s dependence on chemicals, addiction to the father who was on chemicals, or radical religious nature. Your bigger challenge is cynicism and skepticism, especially regarding religious or authoritative figures. This brings up your unconscious judgment or feelings of lack regarding your own authority and expertise. Funny, but you might find yourself in a position of great authority at a young age. Having an eclectic knowledge base, you show people that negative judgments are not necessary when one understands and accepts diversity instead of fearing it. Often, you’ll attract partners in business or marriage who are either emotionally extreme or lacking sensitivity. You might project the need for trust, yet reject authority or your spiritual nature. To help you find your center, meditation is key. You sometimes have trouble with money because of self-worth issues. It sounds like a generality, but for a Sagittarius Rising sign, you put your idea of self worth into having ‘stuff’ or more specifically, ‘not losing your stuff.’ The fear of Lack. What do you really fear? Think about that. The extremes might surface as either having earned a lot because of your expertise or unconsciously challenging yourself to prove your worth, falling into a spiraling trap of loss…just making enough, then having to spend it on excess bills. You love to work. It’s your life. So if you’re making oodles of cash, the above issue will surface in romantic relationships… in and out of romance or being challenged by a mate. It would help you to have a mentor regarding money. Gain advice from a trusted individual with integrity, who already knows how to make and keep money. The same applies to romance and couples counseling. Know what it is you want in a relationship and find safety in expressing that. When you can acknowledge yourself as worthy, you stop having financial and romantic issues. You thrive and can make a lot of money via and for, health, healing, political, religious and spiritual causes, and the entertainment industry. You’re an excellent advocate for those less fortunate and can lend time and resources to building a healthier community. You’ve got the talent to become an inspiring author, artist, photographer, architect, musician, medical or holistic facilitator, and public official. Sagittarius sensitive areas: hips, thighs, liver. Care for your digestion, kidneys, thigh muscles, and liver with tried and true detox cleansings. Too many carbs and sugars equal high cholesterol or emotional and environmental stressors adversely affect those areas. Hiking, walking, bike riding in nature, Yoga and weight lifting are tremendous ways to assist your need for security, and to strengthen the body. I am connected to all things, great and small. I honor the differences and bless the similarities. Notable Sagittarius Rising Signs—Robert Duvall, Coco Chanel, Bob Dylan, Jodie Foster, Elvis Presley, Hermann Hesse, Kevin Kline, Prince William, and Leonardo da Vinci. Remember, you’re always seeking the truth. Perhaps one or more of those emotions speaks your truth! You see mom as devoted to you, but also either lacking in fairness or power. Someone who is too free with her boundaries or resources in romantic relationships. Either way, when you feel your feelings, you tend to evaluate then judge the emotions on a philosophical level… not necessarily owning them, but attempting to justify them to understand them. As a result, you might attract manipulative romantic partners. Or you might be in control of directing the course of your relationships. 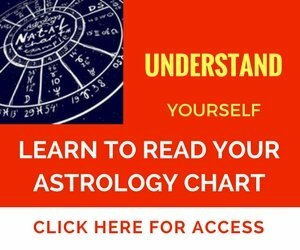 Biofeedback work, Emotional Freedom Technique, or any new type of self-discovery in counseling helps you to release negative self-esteem and find more equality in romance. Journaling and writing help you to get clear on emotions, too. Financial matters come in feast or famine situations but you seem to always attract money! When you accept your feelings (instead of judging them), and feel them as part of your life’s process, more money and opportunity flows.